The indictments were unsealed a little more than a week after a deadly riot at Lee Correctional Institution left seven inmates dead. 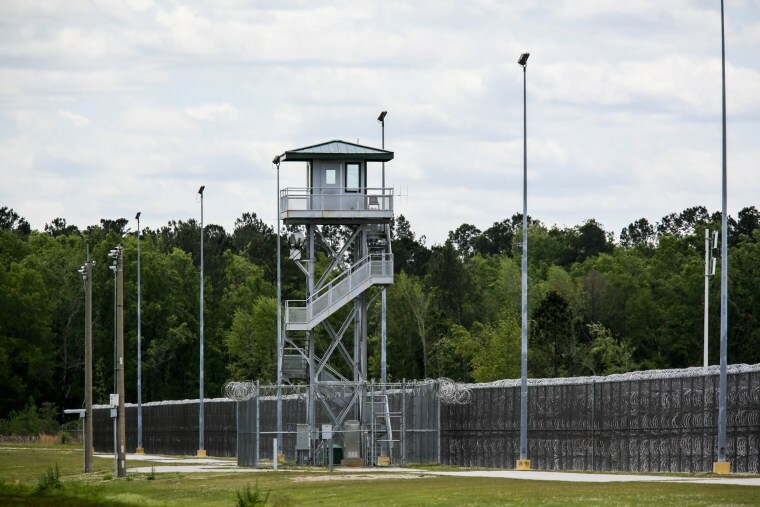 COLUMBIA, S.C. — More than a dozen South Carolina corrections employees pleaded not guilty Wednesday to federal charges related to bribery and bringing contraband into the state's institutions, a case that was announced a week after a deadly prison riot. The indictments against 14 Department of Corrections employees, including 11 officers, include charges of racketeering, bribery and wire fraud, and in some cases are connected to actions that allegedly took place as long as three years ago. The indictments unsealed Wednesday don't detail how much the employees are accused of accepting in exchange for smuggling drugs, cellphones and phone accessories into state prisons. The defendants were jailed pending the resolution of bond for their federal charges. The indictments were unsealed a little more than a week after a deadly riot at Lee Correctional Institution left seven inmates dead — and just one day after the AP quoted several people connected to correctional institutions as saying that cellphones, drugs and other contraband were flowing into prisons around the state while officers turned a blind eye, or helped to smuggle them. South Carolina's Department of Corrections has long banned inmates from possessing cellphones, saying they pose a top security threat because they can help inmates commit crimes, such as coordinating drug distribution or plotting violent uprisings. Citing understaffing as one of his agency's top problems, Corrections Director Bryan Stirling has repeatedly asked for more funding to allow him to hire additional officers. Since taking over the agency in 2013, Stirling has been able to increase officer pay and opportunities to earn overtime. But an inmate, defense attorneys and a person familiar with the operations of South Carolina's correctional institutions all told the AP for its previous story that the problem is not a lack of officers, but the inattention or collusion of current officers that is behind the contraband problem. On Monday, Acting U.S. Attorney Beth Drake told reporters the agency "is facing a crisis in contraband." At a news conference Wednesday, authorities said the probe that resulted in the 14 arrests had begun in 2016 and remained ongoing, not saying if more arrests were expected. The employees included 11 corrections officers, as well as food service, grounds and medical staff at eight of the state's 21 different institutions. A person close to the investigation confirmed to AP that all of those charged Wednesday have also faced charges in state court. Some cases have been adjudicated, while others are still pending. The person spoke on the condition of anonymity due to not being permitted to speak publicly about the case. Some defense attorneys expressed frustration at the federal charges, saying their clients had thought their cases had ended with convictions in state court on similar charges. "They thought they were done," Lori Murray, who represents one of the officers charged, told reporters. "They were very surprised when they were picked up this morning." Murray said the timing of the charges was intended to send a message following the Lee riot that contraband smuggling won't be tolerated, an assertion Drake refuted. "It's not linked to the riot. There's no causal effect," Drake said. "Corrections officers and other employees were accused of taking bribes to bring contraband into our corrections facilities, and it puts other corrections officers and staff at risk, and it puts community members at risk." In recent years, the Corrections agency has spent millions installing netting around institutions to catch packages thrown over the fences; contracted with outside law enforcement officers to patrol outside the grounds, and repeatedly called on the Federal Communications Commission to allow them to jam cellphone signals, thereby rendering the devices useless. Stirling, who has several times testified about the issue, is set to travel to Washington next week for more meetings on the jamming issue.